In a review of the most popular kitchen photos on Houzz for 2017, creative storage ideas emerged as a clear favorite. Users saved three ideas over and over again to their ideabooks for good reason- they offer clever storage solutions that are also pleasing to look at! KBC Remodeling Services in Longmont has an experienced and knowledgeable team of designers and contractors to ensure a smooth kitchen remodeling experience from start to finish! End-of-island Storage: Previously overlooked and unused in kitchen remodels, this prime location is now being taken of advantage of for both display and organization. One popular idea is to install drawers with glass fronts and false backs in order to show interesting food items such as pasta while hiding more utilitarian items. If you need more storage for larger items, island shelves will draw the eye to these pieces, instead of the stools. Another fresh idea is to position a small beverage refrigerator at the end of the island for guests to help themselves! Pantry Roll-outs: Shelves are the standard we have become accustomed to in pantries but adding drawers is a long-overdue storage solution that finally caught on in 2017. No more digging behind big boxes & cans to access what you need! Larders, common in the U.K., are also gaining more popularity here in the states. In this set-up, double doors with spice racks open to a more shallow interior with shelving on top and drawers or bins underneath. To maximize efficiency, a pullout work surface can be added. Narrow Pull-outs: Customizing cabinetry to store kitchen items in areas where they are most used makes a lot of sense and became a more frequent request for remodels this year. Designing narrow slide-outs on either side of the range to keep oils and utensils is very convenient when cooking. And a drawer under the sink that accommodates plumbing fixtures is a handy way to store cleaning bottles and implements. If 2018 is the year you finally get the kitchen of your dreams, take note of these popular organization ideas to add smart functionality to your beautiful new space. 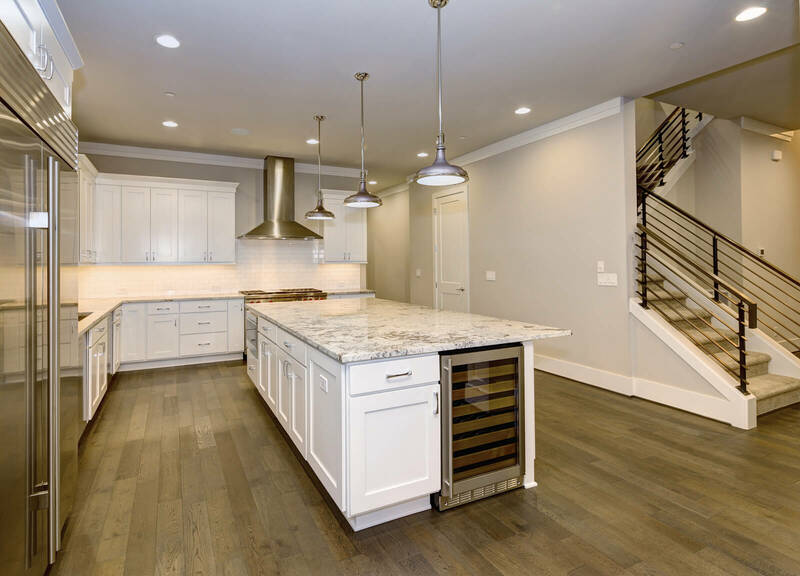 The designers at KBC Remodeling Services of Longmont stay up-to-date on all the latest trends to provide our clients with the best remodeling options for their dream kitchens!